Amazon prepping a games console to rival Ouya? Amazon is beavering away with a new plan to take on the console world, according to latest reports. 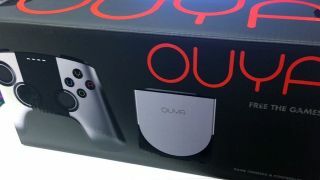 The online giant is planning to take on the likes of Ouya with its own-brand Android console which would tap directly into the company's own Appstore, with a launch date pegged for the end of the year. This is according to Gameinformer, which has spoken to people "who have knowledge of the in-development hardware" and believes that the console will be a way that Amazon can leverage the gaming titles that are already available on the site. For Amazon, this makes a lot of sense. While it has been clever in undercutting the Google Play store with its free app offerings, releasing a console that taps straight into its store would follow the same incredibly successful blueprint that has worked for the Amazon Kindle and Kindle Fire. And then there is the fact that Amazon already has its own studio busy creating games, as well as a recently launched Steam rival to add to its gaming mix. There has been a flurry of Android consoles announced this year and this number will continue to grow. There are issues surrounding quality, however. There may have been excitement surrounding Ouya when it landed on Kickstarter, but reviews have been middling. Nvidia also got people talking with its Shield device. The link-up to Steam and the power behind it has impressed many but this is a US-only product so far. The Android console market is certainly in a state of flux, which essentially means it is perfect ground for Amazon to come in and take charge.